If you’re looking to feed your pup something fit for human consumption then look no further. Zignature prides itself on creating a balanced nutritional diet for dogs that helps them thrive. To do that the right way, high-quality meat protein is always the first ingredient in Zignature’s recipes. Meat is a key component in every dog’s diet, and since some common meat sources like chicken and beef trigger allergies in dogs, Zignature offers special protein sources like kangaroo, whitefish, venison, and salmon. The rest of the ingredients in Zignature’s recipes are limited, each of them specifically selected to contribute to dogs’ complete health and optimal body functioning. Instead of loading their food with simple carbohydrates that can spike dogs’ blood sugar and wreak havoc on their health, Zignature uses low glycaemic carbs, like chickpeas instead. Low glycaemic carbs are healthier and give dogs softer, shinier coats. I quite like Zignature because of their traceable ingredients and trusted manufacturing of their great-quality hypoallergenic wet and dry dog food. Very excited to review this food as it is one of my t﻿﻿op-rated dog foods and something I’d happily feed my dogs. I see this food as on par with other quality brands such as Acana and Orijen. I see this company dedicated to prioritizing their high standards over profit, so you can be sure that this food will maintain its quality over the years. Zignature dog food is made by US Company Pets Global Inc., located in North Hollywood California. All Zignature dog food is made in the United States at one of their two USDA regulated plans with partners Tuffy’s in Perham, Minnesota and Performance Pet in Mitchell, South Dakota. Compared to most grocery store dog food brands, Zignature doesn’t include common dog food allergy triggers like corn, wheat, soy, dairy, or chicken, all of which are known to cause problems in many dogs. Dogs who suffer from itchy skin, rough coats, digestive issues, allergies, and other sensitivities often benefit from switching to Zignature’s carefully crafted dog food blends because of their unique sources of protein and carbohydrates and hypoallergenic ingredients. Their ingredients are responsibly sourced from high-quality producers around the world, including farm raised duck from Western France, fish from the Pacific Northwest, and fruits and vegetables from across North America. Each of Zignature’s specialty dog foods are supplemented with all the vitamins and minerals needed to complete a dog’s balanced diet. Zignature dog foods are also considered low-glycemic, meaning that they don’t include simple carbohydrates and starches that aren’t very good for dogs. These carbs and starches, like potatoes, wheat, and corn, typically make up the second ingredient in cheap dry dog food brands. Instead, Zignature uses ingredients like chickpeas and other legumes that provide health dietary fibre and maintain stable blood sugar levels. Since most dog owners are enthusiastic animal lovers, you can rest assured that the company does not conduct any invasive animal testing if its products and never will. Zignature’s recipes are fine-tuned through feeding trials that are conducted in a comfortable, stress-free environment for all the dogs involved. Wow! It's great to see this and very re-assuring. Pet owners can confidently feed their dogs Zignature because their food doesn’t contain controversial fillers or ingredients that trigger allergies and sensitivities in most dogs. Zignature dog food doesn’t contain any of the common dog food allergy triggers like chicken, corn, wheat, soy, and potatoes. Since Zignature is a brand that uses limited ingredients in their recipes and unique protein sources like kangaroo, duck, and lamb, it makes a great hypoallergenic option for owners whose dogs suffer from allergies and sensitivities. Dogs love Zignature because their meat-first philosophy is in line with dogs’ evolutionary diet. In these recipes, the first ingredient is always meat or fish and meat or fish meal is always the second ingredient. These meat ingredients are highly palatable sources of protein and fats that are attractive to picky dogs who turn their noses up at other dog foods. Owners who switch their picky dogs to Zignature can rest well knowing that their dog’s food has the great taste that they love and that they are getting everything they need to give them strong bones, healthy muscles and skin, and a soft, silky coat. For owners who want to provide their dog with a raw diet but don’t have the time to put their dogs’ food together themselves, Zignature’s dry and wet foods come close. Zignature dog food comes highly rated on Dog Food Advisor a scrupulous independent source of reviews and information on different dog food brands. Dog Food Advisor gives Zignature wet canned food the top rating of 5 stars, stating that this is an above average wet canned dog food. This meat-based canned food is highly-recommended because Zignature names several animal protein sources. These canned wet foods also have above average protein, average fat, and low carbohydrates. Great for dogs with allergies who need superior nutrition and need to watch their weight. Zignature’s dry dog food is another great option for your furry friends. The brand’s line of dry dog foods has the second-highest tier rating of 4.5 on Dog Food Advisor and comes highly recommended by dog owners. Dog Food Advisor suggests that Zignature dry dog food is an above average plant-based diet with a moderate amount of meat and trusted ingredients. They do note that some of these dry formulas contain sunflower oil as a source of Omega 6 fatty acids, but sunflower oil is low in Omega 3. Sunflower oil is less healthy than canola oil or flaxseed oil, which are high in both Omega 3 and 6. Dog Food Advisor highlights a few ingredients included in some of Zignature’s recipes that could be called into question, such as pea flour, pea protein, dehydrated alfalfa meal, and dried beet pulp. For example, peas are healthy for dogs but because of their high protein content, high amounts in Zignature’s recipes can boost the total protein labelled on the dog food. This could be misleading, making us believe that there is higher animal protein content in the dog’s food than there really is. Alfalfa meal is another ingredient that is safe, high in protein and fibre, but is more commonly used in horse feed. Beet pulp is a controversial ingredient in dog food that is used to improve intestinal health and blood sugar, whereas other people consider it to be an inexpensive filler. Some dogs have trouble with beet pulp and see improvements in their stools after switching to brands without this ingredient, which is something for owners trying out Zignature to keep in mind. This brand of dog food can be a little bit pricey, but it is worthwhile seeing your dogs healthy and vibrant. Zignature’s food is backed by great ingredients and quality control, so you can get into a great feeding routine with your dog and know that you are feeding you pet the best. 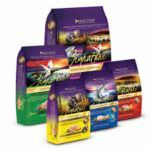 Zignature currently offers nine varieties of dry dog food, with two new flavor options coming soon: pork and catfish. For this review we will look at their Lamb formula. 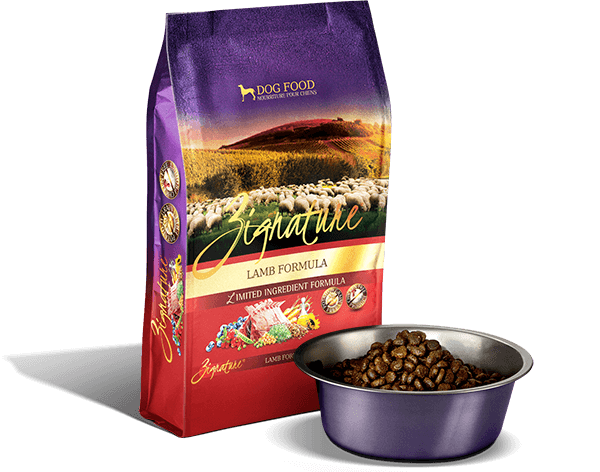 Zignature Grain Free Lamb is a limited ingredient formula without grain that is great for dogs with allergies and sensitivities. Zignature’s mission is to provide dogs with food that gives them complete and balanced nutrition. The top 5 ingredients in Zignature’s Lamb formula are lamb, lamb meal, peas, pea flour, and pea protein. For that I have to give kudos! These are all high-protein ingredients which help contribute to strong bones, healthy muscles, skin, and a shiny coat. Peas make up this recipe’s easily digestible source of fibre and low-glycaemic carbohydrates. Lamb sourced from the farmlands of New Zealand is used as this recipe’s unique source of animal protein. Since lamb is a protein source that is less common in dry dog food it makes a great hypoallergenic ingredient for dogs with allergies. It doesn’t contain any common allergy triggers like chicken, chicken eggs, chicken by-products, corn, wheat, soy, or dairy. This dog food is AAFCO (the Association of American Feed Control Officials) approved. This means this Zignature blend meets the requirements of AAFCO’s Dog Food Nutrient Profiles and is approved for dogs of all ages (puppies, adults and senior dogs). I believe dogs get complete nutrition with this formula and may be the only food source along with fresh, clean water that you'll need. Final key notes: this blend receives a Dog Food Advisor rating of 4 which is highly rated.This dry dog food recipe has a 27% proteins, 15% fat, and 6.5% fiber which we are happy to see. Zignature ﻿G﻿﻿﻿rain Free Lamb also contains healthy levels of phosphorus, calcium, and healthy Omega 3 and 6 fatty acids. Zignature currently offers nine varieties of canned dog food, with two new flavours coming soon: pork and catfish. For this review we’ll look at the Kangaroo formula. Zignature Kangaroo canned food is another great option for dogs with allergies and sensitivities. This blend is a limited ingredient formula avoiding troublesome ingredients like potatoes, grains, dairy, chicken, chicken eggs, chicken by-products, glutens, tapioca, corn, and soy, which is what we expect to see from hypoallergenic dog food. Another pro which I like to see is that this canned wet food has no guar gum or carrageenan which are unsafe thickeners commonly used in wet dog foods found in grocery stores. This food is a delight of proteins! 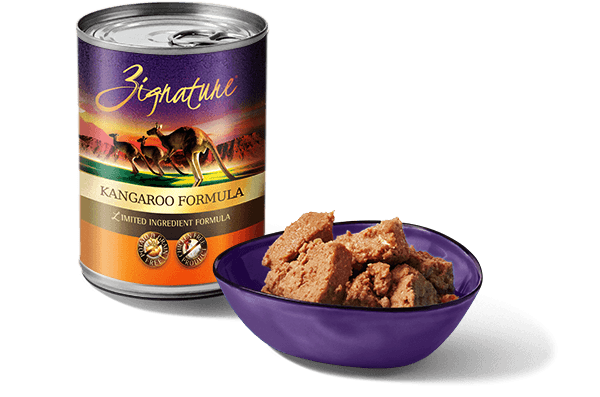 The top 5 ingredients in Zignature’s Kangaroo canned food are kangaroo, broth, peas, sunflower oil, and carrots. All quality ingredients! Peas are a source of protein and carbohydrates. Sunflower oil is high in the antioxidant vitamin E and healthy fatty acids that help maintain healthy skin and shiny coats. Broth helps keep this food nice and moist while carrots are a good, low calorie vegetable that dogs love and is high in fibre and vitamins. Zignature’s Kangaroo wet canned recipe not only uses a unique protein source as its first ingredient but also contains healthy carbs, plant proteins, vitamins, and healthy fatty acids in just the first five ingredients. Fruits and vegetables like cranberries and blueberries are also included in this recipe to give dogs everything they need to be healthy and happy. So many dog foods skip on fruit and veggies so it's great seeing this. Zignature’s palatable wet food is high in moisture content (78% for this recipe), encouraging a healthy appetite in picky dogs. All canned foods have high water content, but this percentage is nice to see. Due to the unique, premium ingredients sourced from around the world in Zignature’s Kangaroo wet canned food, it is more expensive than most wet foods that owners will find on grocery store shelves. However, picky dogs love this food. 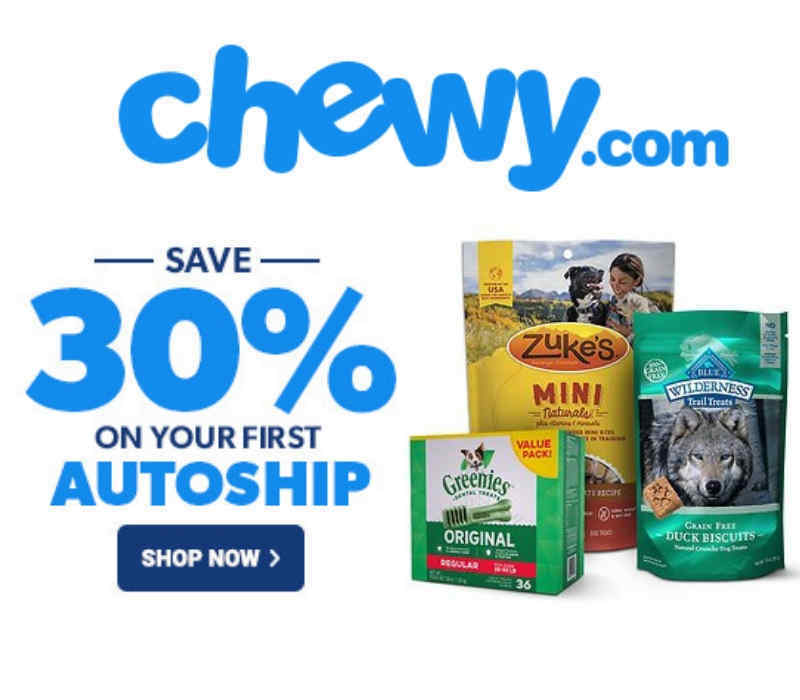 Owners who switch their dogs to this brand see suffering dogs quickly recover from troublesome allergy symptoms like itchiness and digestive problems, which makes the price well worth it. 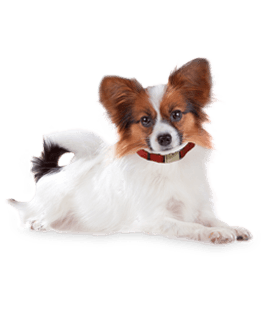 If you want your lovable pet to live a long, healthy life, you need to put quality over price and Zignature helps owners by giving them a top-quality product. Final key notes: this formula contains 9% protein, 4% fat, and 1% fibre and receives a whooping 4.5 stars from Dog Food Advisor scrupulous review site. There is absolutely nothing you can fault Zignature Kangaroo Canned dog food for. There have been no recalls of Zignature’s wet or dry dog food as of February, 2017 on the FDA website. That in itself, is a great reason why you should consider making an investment in your dog's nutrition for long term gains with the assurance that you are feeding your dog a high quality grade food. Zignature is made in the USA in USDA regulated facilities. They use only trusted ingredients that are responsibly sourced from around the world, so owners can feel safe feeding this food to their dogs. Zignature is a high-quality dog food brand that is AAFCO approved for all-life-stages. Since opening, the company hasn’t had any recalls of their dry or wet dog food so owners shouldn’t worry about any possible contamination or quality issues. Zignature is a trusted US company owned and operated in the US. Zignature’s special dry and wet recipes use responsibly sourced ingredients specially picked to contribute to dogs’ complete health, with none of the common culprits that cause food allergies and sensitivities in other dog food brands. Their meat-first philosophy is not only great for dogs’ taste buds but also helps them grow to be strong and healthy. Owners love to see how happy and healthy their dogs are when they switch to feeding them Zignature’s wet or dry dog food. Even though this option is a little bit more expensive than other hypoallergenic options out there, Zignature is worth it in the way that they exceed owners’ expectations for their pets’ nutrition. Spending a little bit more on good dog food from the start helps owners save on vet bills in the long run and could potentially add years to their dogs’ lives.